Speaking about the previous tour, when Virat Kohli and Mitchell Johnson were involved in quite a few altercations out in the centre, Ponting said that Kohli can be quite rattled. There is an overwhelming sense of anticipation about the upcoming Test series between India and Australia. 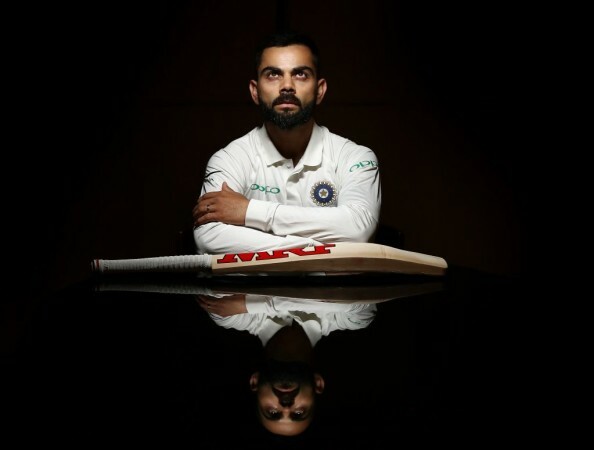 Virat Kohli, Tim Paine and two proud cricketing nations will fight it out in the field for the coveted Border-Gavaskar trophy and as it has been the norm in the recent past, captain Kohli will be the centre of attraction. Yes, the skipper does not want to pick up fights, and yes, he wants to focus purely on his batting, but this will not take the pressure away from him. Australia, a team witnessing purge from all quarters, wants to play a series bereft of unnecessary animosity, but former captain Ricky Ponting wants the hosts to go after captain Virat Kohli. "Well, he might. I don't necessarily believe that he is someone you shouldn't try to get under his skin. I have seen him rattled," Ponting told cricket.com.au. "Mitchell Johnson definitely rattled him a few times with some good hostile bowling and some good hostile body language around him. So, I would not sit back and let anyone bully," the former Australian captain further added. Ponting wants the hosts to have a strong body language since they are playing at home and always target the Indians with an aggressive mindset. "The way we go about playing cricket, especially at home, it is about good strong body language. That is the way Australians have always played their best," he said. However, the former captain wants words only when the players have the back themselves and impose their skills on the match. The previous Australian teams never shied away from shooting a few words towards the opposition, but then they were mighty fine players too who were always on top of their game. "Yes, Australian teams of the past have always had few words to say but it was always on the back of some good hostile bowling, you can't do without it. It is rubbish otherwise," Ponting said.